As a global leader of identity management services, G+D Mobile Security ensures that consumers, as well as IoT identities and data, remain secure and reliable at all times across industries. G+D Mobile Security brings comprehensive solutions that enable you to position yourself as a key player in the marketplace, ready to respond to the threats posed by agile game changers entering the market. Our customers are increasingly required to offer quick and convenient outward-facing services. G+D Mobile Security has unparalleled experience in the emerging mobile payment market and offers the full range of payment options from card to cloud. Integrating market leading EMV solutions into mobile offerings, G+D can authenticate and dynamically deliver payment credentials to mobile devices and cards through central or distributed issuance platforms. 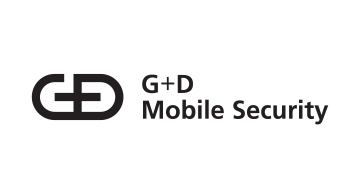 G+D Mobile Security delivers best-in-class Secure Elements and remote credential lifecycle management plus OTA, HCE, digital wallets, tokenization and TSM services. In the emerging IoT and smart wearables market, G+D partners with both established enterprise players and innovative start-ups to incorporate the highest level of security in IoT communications and transactions. Our products and solutions are used by commercial banks, mobile network operators, car and mobile device manufacturers, business enterprises, transit authorities and insurance companies and their customers every day to secure payment, communication and device-to-device interaction. G+D Mobile Security is a technology leader in its markets and holds a strong competitive position.